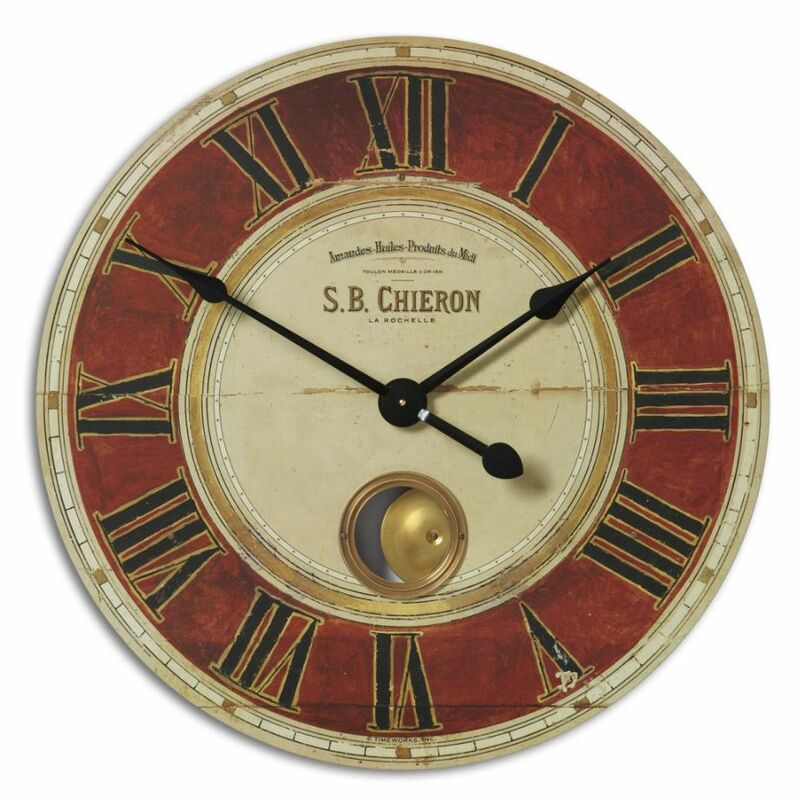 The Chieron wall clock comes with an internal pendulum and measures 23" in diameter. The clock has a weathered laminated clock face and charming cast brass details. Requires 1-AA battery and is a wonderful large wall clock for any room for your home or office.